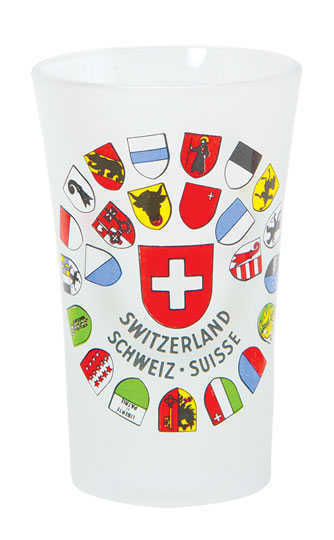 Frosted glass shots with a Swiss shield, Canton shields and “Switzerland, Suisse, Schweiz” on front . 1oz. Service Area: New Glarus, Beloit, Madison, Freeport, Machesney Park, Middleton, Stoughton, Whitewater, Baraboo, Fort Atkinson, De Forest and surrounding communities.